Scent Bar Thrills Industry and Media! 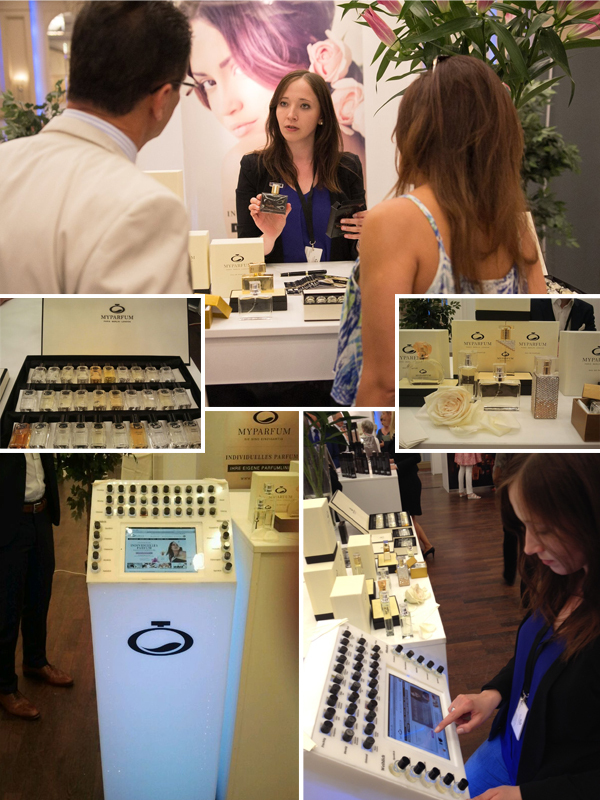 The guests at the trade fair were highly interested in our scent bar. Some of them even had their picture taken in front of the innovative "fragrance machine." We were also invited to join an expert presentation on the successful connection of online and offline sales. The media, among them a major Berlin newspaper and perfumery magazines, have already reported on our scent bar. We are expecting additional media coverage. The response from the perfume industry, however, was more important than the interest of the media. Representatives of many perfume stores, ranging from small stores with a long tradition to major perfume store chains, were thrilled by the innovation. We have already sold the first scent bars at the trade fair before the official launch! We expect that equipping the first perfume stores with the scent bar will take 6–8 weeks. Needless to say, we will also recommend all partner stores to our regional customers online. International guests were very interested in the scent bar as well. In stationary perfume retail, fierce competition has developed recently. More and more customers prefer cheap drug stores or price-driven online retail to a visit to perfume stores. Perfume retailers are forced to set themselves apart from these competitors. Individual perfume provides our partners with a valuable solution to this problem. Because of this innovative and exciting service, perfume stores focus more on the individual customer. By means of a product that drug stores or online retailers cannot offer, perfume stores may set themselves apart and ensure long-term customer loyalty. Even though MyParfum operates a website of its own, we are not competing with our partner stores. Trying out our scents is only possible in local perfume stores, which are also able to offer free personal advice to customers and do not charge any shipping fees. In the case of reorders, partners also benefit from their customers and participate in the attractive margins. For this reason, MyParfum has been invited by one of the leading perfume store associations to present its concept at the next general assembly of the association's member stores. 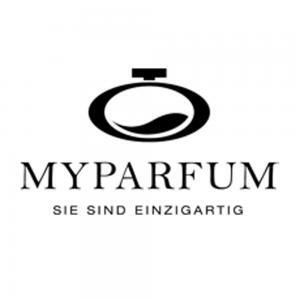 For more information and presale offers at trade fair rates, please see www.myparfum.de/duftbar until 30 June 2014. In the 1980s, visionary Steve Jobs published his mission statement for the recently founded Apple company. "Man is the creator of change in this world. As such he should be above systems and structures, and not subordinate to them." Despite some turbulent years and the many people who sneered at Apple while it was still a start-up, the company has become a global player. At MyParfum, we have also reached another important milestone on our way to establishing the individual perfume in the last few days. We have proven that there is huge potential for individual perfume on the market. The 132,000 individual perfumes created online so far are just the tip of the iceberg. Backed by the great interest of retailers, we are now starting to fully exploit the huge potential. Certainly, it will not be easy to establish ourselves in the highly competitive retail industry over the next few years, but the initial conditions concerning the market, product, and team could hardly be any better. This year, we will establish the individual perfume in the first few perfume store branches. We are convinced that our products will be available in 240 select perfume stores all over the German-speaking world until 2017.